To better understand the role of a beer distributor, take a look at the following analogy: The distributor’s job is to get the dog food on the shelf; it is the brewer’s job to get the dogs to pick the food up! It may be simplistic, but it does make the point that the role of each tier in the beer industry is different. Having said that, a distributor’s insights into selling to a particular demographic are many times more insightful than a brewery marketer’s ability to pinpoint a particular target audience. No matter how it is defined, people will segregate. People will segregate into various categories based upon age, education, income, professions or even the college one attended. 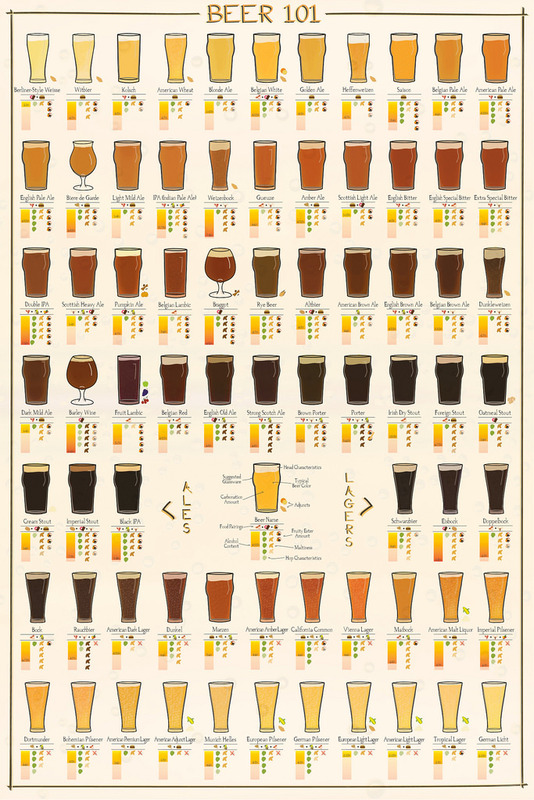 Segregation might even be based upon a particular beer or beer segment. Brewery marketers and ad agencies will develop target demographics such as college educated males, ages 25-39, income $65+ etc. and the brewery then develops marketing strategies to fit the named segment. Typically, there is little to no input from the distributor, and despite the fact that the brewery or advertising staff go into the market or visit a distributor, they could still not glean a total understanding of the bigger picture. Beer distributors sell to all demographics across all lines. There are no boundaries when it comes to selling beer. My first route was in east Austin, and the accounts were mostly Hispanic. Since I was selling Falstaff, and Falstaff was sinking in popularity behind Schlitz, Lone Star and Pearl, (Schlitz was about 20 times larger than Falstaff, however, each account was always good for 1-2 cases), it was a rough route, but we all got along well. Even when my truck was broken into and some beer stolen, the accounts helped out by looking for the robbers. You do not mess with the beer guys! No matter where you went to work, beer guys were always accepted by the accounts they called on. About the only way one would dare walk into a bar in Starr county in far south Texas was with having on a beer shirt. Where riding routes in Watts or Compton when working in LA, or the high end routes of Beverly Hills, I again found that no one messed with the beer guy! There was an unwritten rule on the retail side of the beer business. 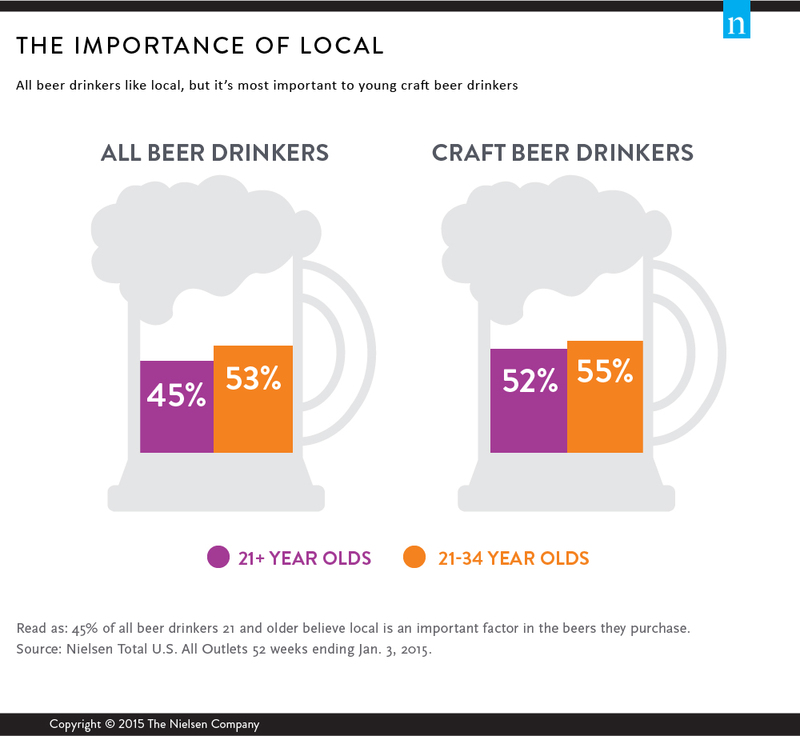 Based on this knowledge, beer distributors have the innate ability to sell beers that are the favorite of the various demographics. Distributors are in the accounts every day of every week of every year. Every account gets treated equally. Service is based on volume. Distributors have historically hired employees that are representative of the demographics of their respective markets. They had to. It has not been done due to any contractual agreement, it was simply done because it made good business sense and was the right thing to do. There is a fine line in marketing between the breweries and the distributors. This applies to both tiers; however, distributors know the demographics of their market. Brewery marketers can learn more about marketing to consumers from distributors. Distributors do not exclude any account. By the spring of 1986, it was apparent that Corona, with its clear bottle, introduced a couple of years earlier, was a hit. Corona sales had increased each year even though it was only available in a 20- bottle loose case. This package made Corona a predominately on premise package so the brand’s potential was still up in the air. Spring break of that year gave an indication of Corona’s potential. During that one week on South Padre Island, five containers of Corona were sold! We could not keep the accounts stocked with beer. In fact, we continued to have to pick up extra beer from the San Antonio wholesaler. It was crazy. Fast forward ten years, while at Gambrinus, Corona, which was now available in 6-packs, had long established itself as a viable brand. Wholesalers were trying to get distribution rights for Modelo. Distribution for Corona was still under indexed, but the 12-pack took care of that with an aggressive price point. Corona had long moved away from targeting on premise Mexican restaurants and was now into mainstream trade channels. In 2002, as previously noted, AB introduced Michelob Ultra as a test product in Florida. Ultra-did much better than expected and soon started growing. AB has continued to market Ultra using the same lifestyle theme with great success. In less than 20 years, Ultra has become a powerhouse brand and the only the light product that has continued to grow, and grow at double digit number for some years. Ultra is a classic study in targeting a specific demographic. None of these products were an overnight success and all of them took years to find traction. Corona had to change their look from a squatty brown bottle to a longneck clear bottle. The rest is history. Modelo launched with the support of the Hispanic community from Mexico. Ultra, hit a sweet spot in the beer segment while being supported by AB. There are many brands today that are doing well, but none have the volume base and the growth trends of Corona, Modelo Especial and Ultra. These three are major players with great market share. If you are an AB distributor and fortunate enough to also represent the Modelo portfolio, you are a happy camper! Throw in Yuengling, if you are on the east coast, and several other craft brands, and your distributor’s future looks bright. Corona, Modelo Especial, and Ultra, they are the industries Gold, Silver, and Bronzes medals….. This post begins the fifth year of Beer Business Unplugged and as usual, I will comment on past posts and the industry in general. While this year’s posts did not produce one blog in particular which resulted in an off-the-chart read, the one post that brought in the most responses was, ironically, last weeks’ Remember the Alamo. I enjoy receiving and reading all the responses as most come directly to me. Those responses that do not come to me are posted to the blog on which the comment which made. The number of subscribers continues to increase, now well in the thousands, and during this coming year, the blog will pass 100,000 reads! In no way did I ever expect results like this. Thank you all! 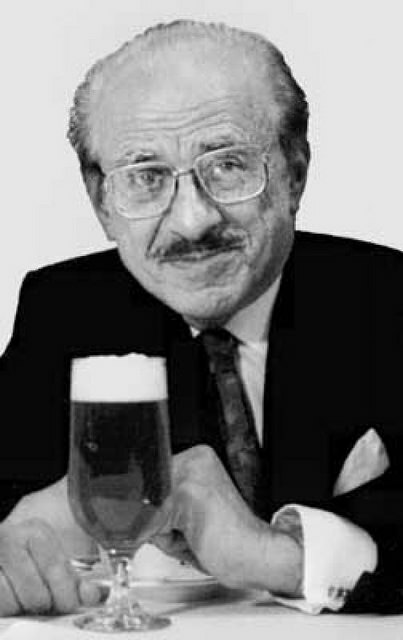 In the last post of 2015, Just the Kiss of the Hops, we honored Albert Jaenicke, who is the personification of what the yearend post aspires to; that is to honor a longtime retired contributor to the beer industry. This post is usually my favorite of the year to write. In the first half of 2016, the industry is experiencing what some are calling a graying of the craft segment. While craft volume numbers are slowing, their dollar volume continues to increase. This, in itself, could be a major contributor for the slowing of craft sales. One wonders, as they review the overall numbers, why this phenomenon is occurring during the first half of the year when interest in the craft segment continues to be very high. In fact, during the winter semester, my class at Portland State had 50 students registered, all highly engaged and most already in the industry in some capacity. A major US brewer even requested to post job openings for their operation on my class webpage. The industry numbers and the interest in the industry seem to counter each other. The upcoming year will be interesting. The year will include a look at not only the upcoming AB/SABMiller marriage and how it will pan out, but also how said marriage will affect US and global beer sales. As always, I will continue to write weekly throughout the year. Going forward I will cover industry topics based upon your continued interests. Thank you for all your kind comments and feedback. They are fun and informative. And now, year five beings…. While SIRI, Neilson, and Guestmetrics all indicate a slowing of the craft segment, interest in crafts has never been higher. 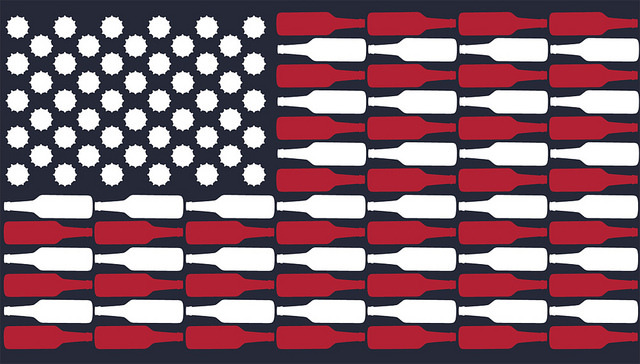 We all know there are over 4,000 operating breweries and more than 6,000 brewing licenses in the US. What is really behind this number is the large amount of micro or brewpub size operations. These small operations, most frequently started in the back of a garage or in a small warehouse with limited funding, have experienced some degree of success. All have taken advantage of the expansion of the craft segment and have leveraged their local roots to their advantage. Smart brewers have grown and even some sold getting multiplies that are crazy. Good for them. While there is nothing to indicate a slowing of this model, the industry will soon see a different model which will change the craft segment. Karbach Brewing Co., located in Houston, was started by the CR Goodman team. Goodman was a longtime distributor in Texas and an importer who sold part of their great portfolio to Glazers and later sold the remaining brands to Ben E. Keith. Funded by these sales, Goodman started a brewery in Houston, leveraging their experience and contacts as distributors. Karbach brought in experienced and highly respected brewer, Eric Warner from Colorado. Aggressively priced, Karbach is on fire in Texas which is not a surprise. Wild Acre Brewing, located in Ft. Worth, is headed by a former Ben E. Keith executive, John Pritchett and has as its brewer, former Lagunitas alum, Mike Craft. Wild Acre plans on shipping over 6,000 bbls. the first year out of a brewery with a 10K bbl. capacity. Their main packaging will be cans with unique designs. The DFW market is a 63+million case area, only five percent share, which is highly underdeveloped in the craft segment. In Fredericksburg, Texas, the Scripps family is leveraging their media expertise in building what will be one of the most unusual breweries in the country. Headed by highly respected master German brewer, Peter Boettcher, a former MC brewer who has designed and built a state of the art 10,000 bbl. operation. Altstadt Brewing is targeted entry into the market sometime in October. It has been built and designed to be a destination brewery, with the brewpub an actual 200+ year old German brewery refurbished and shipped to Fredericksburg. The production brewery consists of the most technically advanced equipment available today. The brewery will have a world class restaurant, beer garden, and meeting hall. Initial brands will be a Kolsch, Lager, Alt and a seasonal Wit beer; all under five percent ABV and highly seasonable. Branding has been created by Brandwrx, a highly acclaimed agency in Austin. Breweries that are this well-funded and managed by highly experienced brewers and industry professionals are going to be successful. As pundits predict when the craft segment consolidates, those built with these key characteristics will survive and prosper. Those who do not, or will not, invest in the highly experienced brewers and industry professions will be gone. Perhaps such near-do-wells will experience something similar to what AB, Miller, and Coors did to the regionals brewers between 1970s-1990s. In Texas, it will be Remember the Alamo….